‘Overrun’ is the new single from Cris Martin – a stunning slice of instrumental virtuoso guitar rock. ‘Overrun’ is the new single from Cris Martin – a stunning slice of instrumental classic guitar rock from the virtuoso musician. 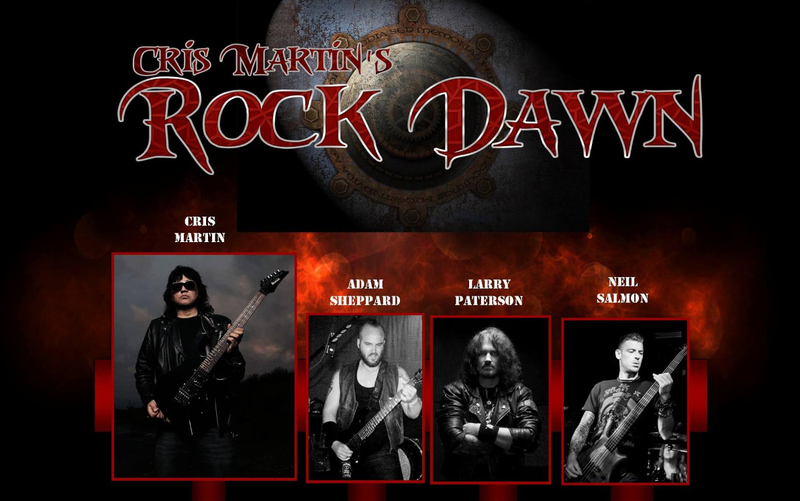 Cris Martin received critical acclaim for his 2016 solo album ‘Rock Dawn’, which featured former Iron Maiden front-man Blaze Bayley and former Samson drummer Barry Graham Purkis (Thunderstick). The single ‘Overrun’ is drawn from the album and a brand new accompanying video is also being launched on December 15th to coincide with the release. Talking about the new single, Cris Martin comments: “Overrun originated back in 2013 when I was thinking about recording again after many years out of a recording studio. I was using a small studio in Streatham and as the studio sessions progressed the track seemed to take on its own character. I wanted the music to evolve rather than conform to fashion or any particular style or genre. This is one benefit of making independent music, one can express oneself freely. I wanted a bluesy, rock feel coupled with a smattering of virtuosity which I think we achieved. Being an instrumental track, the lead guitar line has to be as strong as a lead vocal line. The title came from an incident at the studio where myself and the engineer had popped out to go to the shops. As we were crossing the busy main road, a fast Mercedes sped past almost hitting us and it was the result of almost being run over which gave me the idea of swapping round the words around to Overrun! The video was filmed at Black Cat studios in Leicestershire owned by James Scott who also mixed the Rock Dawn album. The single and album will available here via this website. Preparations are now in advanced stages for our first video shoot for our first single ‘Call of the Wild’ with very special guest vocalist, the one and only Blaze Bayley and will also feature the new Rock Dawn band lineup of Adam Sheppard on guitar, Larry Paterson behind the drum kit, Neil Salmon on bass and special guest on Keyboards and Mandolin, James Scott. We are aiming for a January release so editing will begin over the Christmas period. Watch this space! Rock Dawn’s resident guitar virtuoso Cris Martin, recently attended British Lion’s gig at the Quarterhouse in Folkestone and had the pleasure of meeting Bassman and Iron Maiden founder member Steve Harris and also handed him a complimentary copy of the Rock Dawn CD. Steve also very kindly singed a small number of copies of the CD. Rock Dawn are pleased to announce a new working band lineup featuring the very talented Adam Sheppard on guitar and lead vocals, former Blaze Bayley and I.C.O.N skinsman Larry Paterson behind the drum kit, and also former IamI member Neil Salmon on bass. We will be hitting the road early in 2017 in support of the highly acclaimed debut album. Dates will be announced on an ongoing basis so remember to check the website regularly. Ahead of the digital release of Cris Martin’s Rock Dawn’s debut self titled album on 1st September, physical CDs of the album are available now! Head over to the store to purchase your album for just £10.